Something old, something new—all simply amazing. 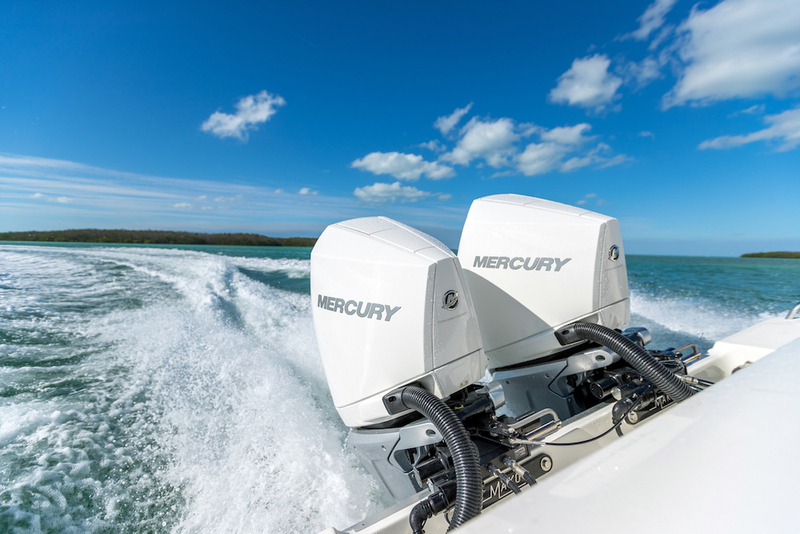 boats.com goes behind the scenes with Mercury Marine at their factory located in Fond du Lac, Wisconsin. 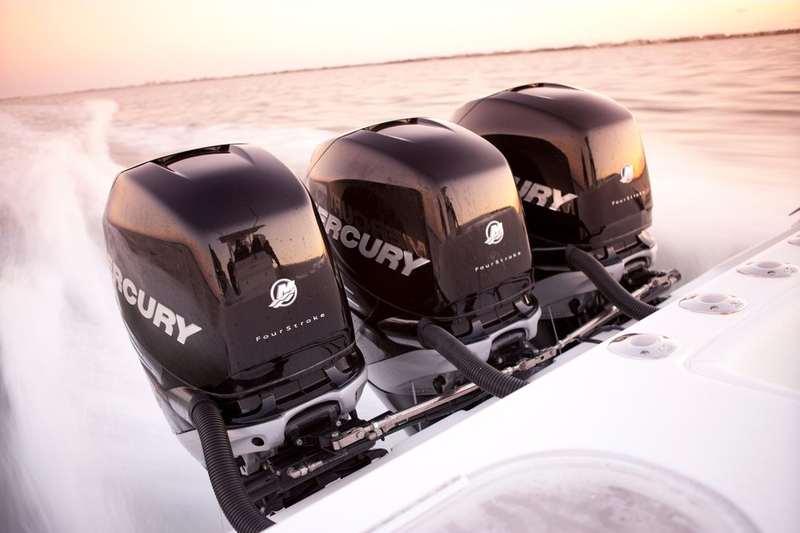 By now you surely know that Mercury Marine has moved the bulk of its outboard engine lines to a V-8 powerhead platform. 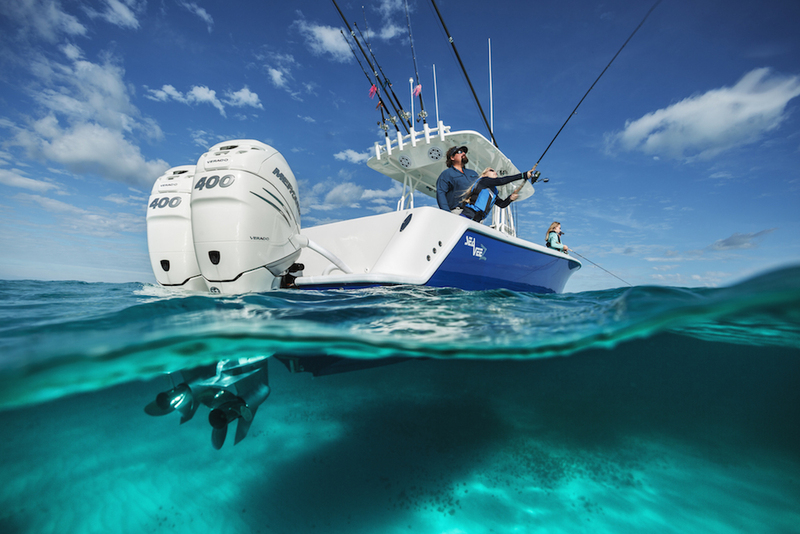 Now comes the fun part—meeting the demand for the 4.6-liter outboards, and the leaders at the Fond du Lac, Wis., marine engine and accessories giant are banking on that demand being sky high. As great luck would have it, I was in nearby Oshkosh covering the Four Horsemen Poker Run on Lake Winnebago in early June, and I had a down day. So I called my contacts at Mercury Marine and arranged a tour for myself and photographer Pete Boden. 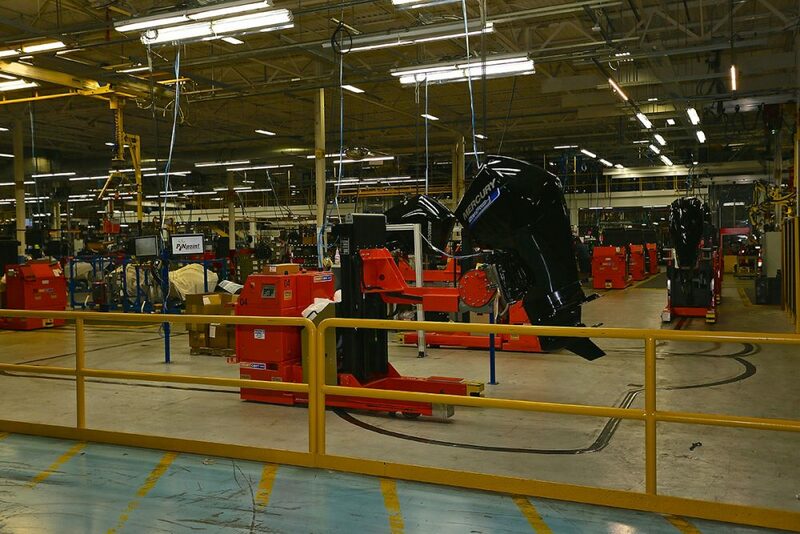 Automatic guided carts serve Mercury Marine’s new V-8 outboard engine assembly line. All photos by Pete Boden/Shoot 2 Thrill Pix. As even greater luck would have it, the company was just “ramping up,” as our tour guide told us, its new V-8 outboard production line at Plant 15, Mercury Marine’s largest production facility. That meant Boden and I were the first media people to see it. And the system was an absolute mind-blower. Each outboard is placed on a computer-controlled automatic guided cart or AGC as the Mercury folks like to call them. The carts move the engines from station to station, where a production technician installs the requisite parts—all clearly dictated in advance by the computer system depending on which outboard series the engine is being finished for—before the cart scoots the engine to the next station. Each technician has five minutes to complete his or her, and 31 percent of Mercury Marine employees are women, task. Hold up the line and you’ll hear about it. 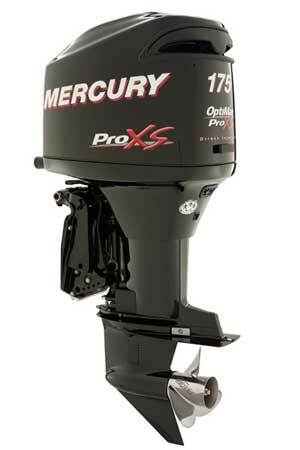 When the V-8 production line is fully functional, a completed V-8 outboard will roll off it every five minutes. 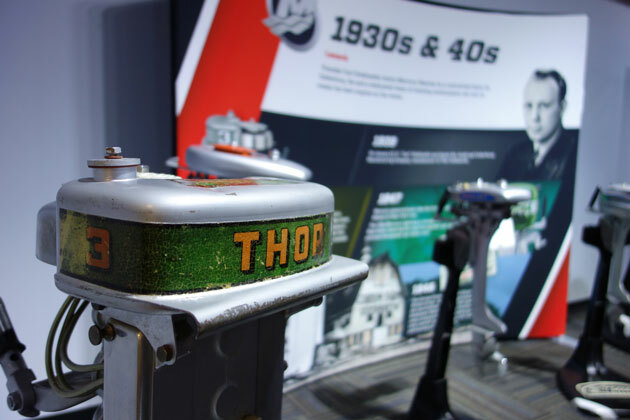 According to our tour guide, each eight-hour shift yields six solid hours of production time, meaning the line can produce 12 outboards an hour and 72 outboards per shift. 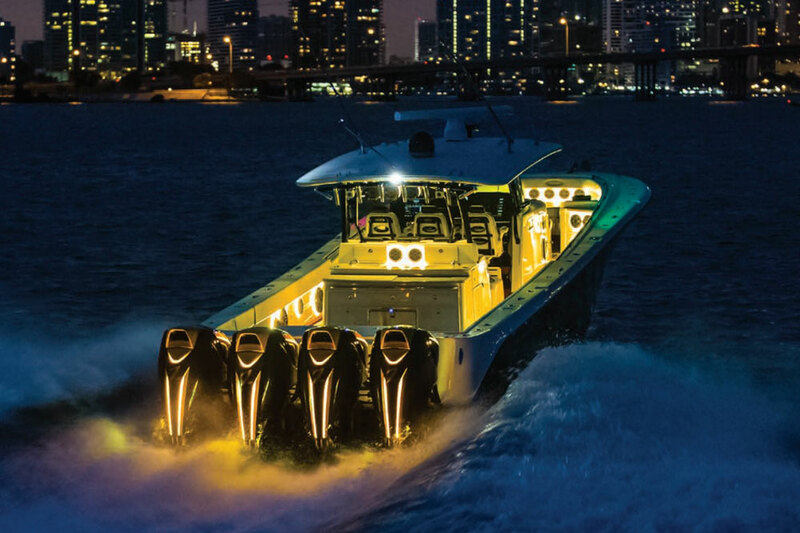 Running three shifts a day—and that can be adjusted based on demand, that translates to 216 outboards a day or 1,512 in a seven-day workweek (if necessary, again based on demand). 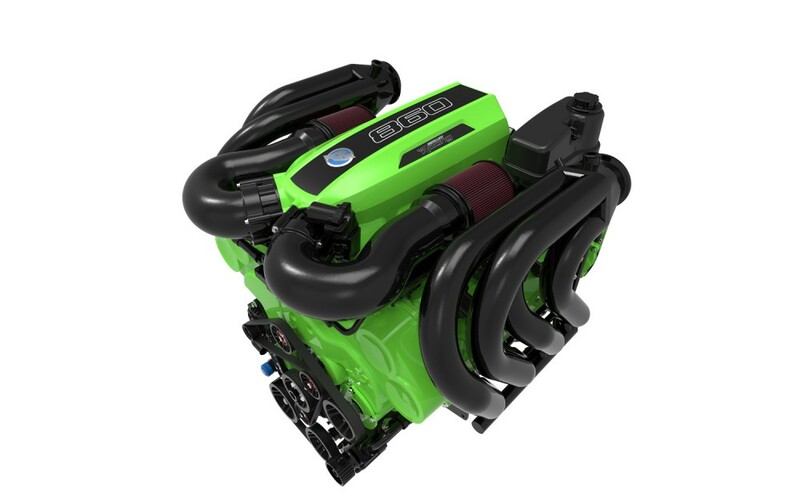 By any measure, that’s a lot of new outboard engine hardware. From Plant 15, our hosts took us to Plant 98, the company’s propeller foundry. Mercury Marine casts its propellers using the lost-wax process, meaning they pour liquid stainless steel heated to 3,000 degrees into rigid wax-filled disposable castings. 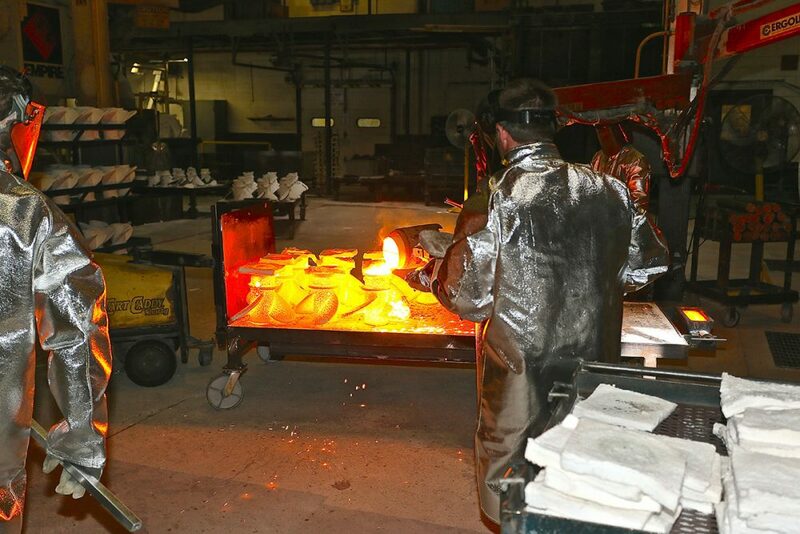 The castings themselves need to be heated to 1,800 degrees before the pour. Otherwise, they’ll exploded on contact with the molten metal. Creating propellers involves pouring 3,000-degree molten stainless steel into sacrificial castings. Mercury has been casting propellers this way for decades, but that doesn’t make it any less impressive. Take everything you think you know about and heat and—pardon the pun—cast it away. Standing 20 feet from the technician pouring the stainless steel into the castings, you can feel the solid wall of potentially lethal temperature coming of the liquid metal. 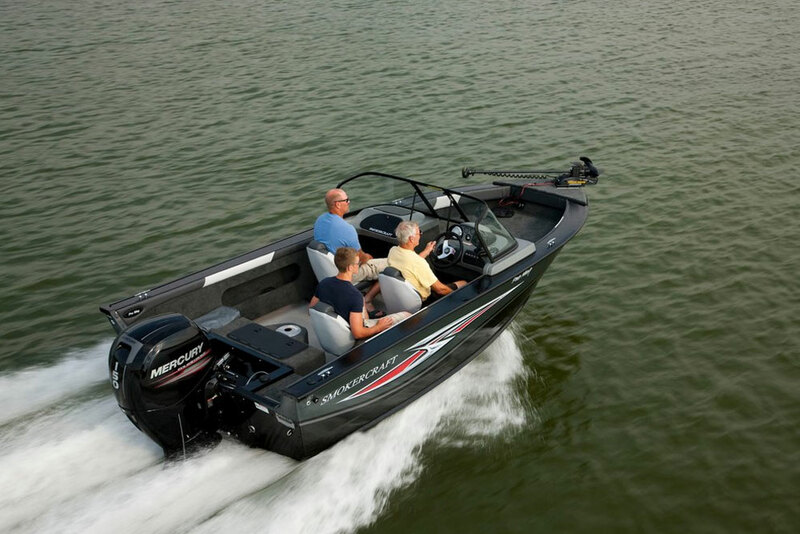 “If the steel made contact with you, it would burn through you before you even felt it,” a Mercury Marine representative told us we watched one of eight “pours” into dozens of castings that would happen that day. Of course, the employees handling the job are properly clad in protective clothing and face shields. Still, even with all that gear it is not a task for the faint of heart. A tour of Mercury Marine has to be on the bucket list of any powerboat owner. From the sheer scale of production to the state-of-the-art manufacturing technology that makes it happen, the facility and what happens within it is nothing short of impressive.